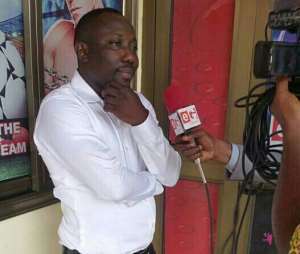 Controversial football administrator who doubles as the President of New Edubiase United, Abdul Salam Yakubu has accused Charles Kwadwo Ntim of having an agenda to bring down the Ghana Football Association. According to the Executive Committee Member of the Ghana Football Association, if Charles Ntim, who is the president of Techiman City FC, has a case at the Court of Arbitration for Sports (CAS) he should wait for the verdict and stop attacking the FA with every little opportunity he gets in the media. "There are a group of people who want to jeopardize our football one of which is Micky Charles," Salam told Happy FM. Abdul Salam claimed Mickey Charles has always supported negative issues after backing Accra Great Olympics to proceed with the court injunction. The league has been postponed indefinitely after Great Olympics served the FA with a court injunction on Tuesday.